Drilling – LALBUKSH VOLTAS ENGINEERING SERVICES & TRADING L.L.C. Since 1982, Lalvol has drilled more than 5000 wells predominantly for Government departments, supervised by consultants of international repute. The company owns a fleet of water well drilling rigs, manufactured by Ingersoll-Rand of USA to cater to the needs of Drilling division. For ground water exploration, Lalvol has drilled bore holes to the depth of 930 meters. Lalvol is an approved contractor of Petroleum Development of Oman (PDO) for water well drilling, and has been drilling deep cathodic protection wells and disposal / monitoring wells for PDO since 1999. Lalvol is an approved contractor of British Petroleum (BP) as well for water well drilling, and has been drilling deep water wells for BP since 2008. Lalvol takes pride in its best-in-class safety standards and its versatile, well-trained workforce with a proven track record in geologically complex formations. These differentiators make the Company uniquely positioned to satisfy the needs of customers. Lalvol’s Drilling Division specializes in the entire value chain of Ground Water Well Drilling, CP Well Drilling, Core Drilling and associated works. Coupled with our Landscaping, Irrigation and Water Management divisions we can provide end to end services from drilling to end use of water. Since 1982 Lalvol has drilled more than 5000 water and CP wells for Government departments, Municipalities, Petroleum and other infrastructure companies supervised by consultants of international repute. Presently the company owns a fleet of water well drilling rigs manufactured by Ingersoll-Rand of USA to cater to the needs of the customers. For ground water exploration Lalvol has drilled bore holes to the maximum depth of 930 meters. Lalvol is approved contractor of Petroleum Development of Oman (PDO) and British Petroleum (BP) for water well drilling activity and is working for PDO since 1999 and BP since 2008 for drilling deep cathodic protection wells & disposal/monitoring wells. With best in-class safety standards and a versatile, well trained work force with a proven track record in geologically complex formations, we are uniquely positioned to satisfy the needs of customers. 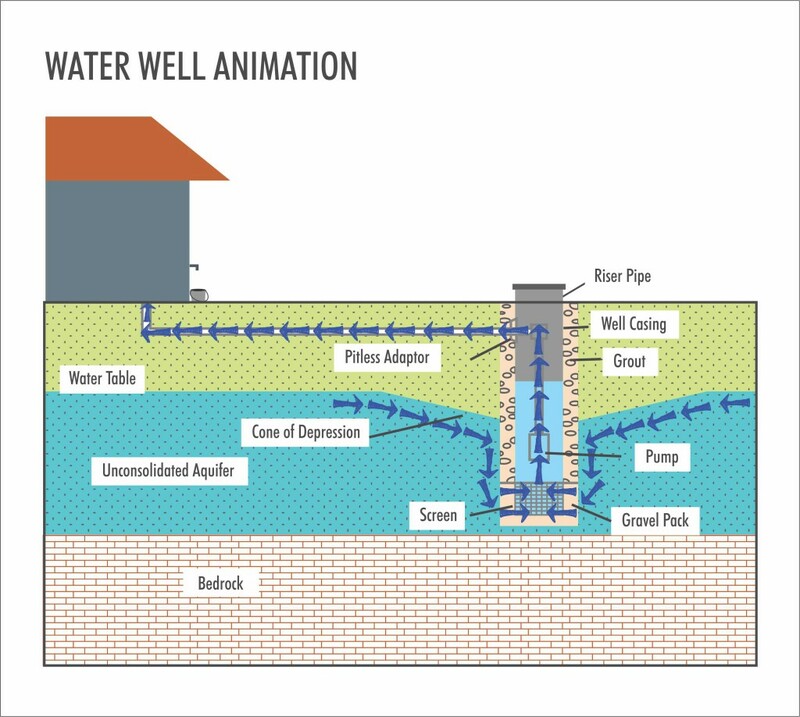 We provide ground water to our customers by drilling a new well or repairing their existing wells, whether you are a farm, home, sub division, industry or municipality; our goal is to provide you with safe sanitary water that you can drink, cook, bath, use for irrigation or industrial use. To meet the needs of our customers we provide the following services. The cathodic protection drilling was established to respond to the demand for fast and reliable installation of cathodic protection wells which provide corrosion protection for underground metal structures. Company employees three drill rigs for drilling of CP wells and installation of CP system. We at Lalvol utilize the experience of our team to render state of the art drilling and associated services to esteemed clients for their Exploration & Production activities. Our earnest endeavor is to understand our clients’ needs and partner them in exploration & production drilling services while maintaining highest standard of occupational HSE. With our expertise in the drilling and infrastructure industry, we provide services like Diamond Coring, Mud Rotary Drilling, Down Hole Hammer, Reverse Circulation and Foundation & Site investigation. Our representatives in accordance with the clients monitor the development and refinement of procedures being performed and further propose amendments to better and safe drilling. Our systems are regularly maintained to ensure that they provide best services with minimal down time. The projects under taken by the company have won the admiration of our clients and most of them are our repeat customers. The company has long list of important and thoroughly satisfied customers. The following are to name a few.